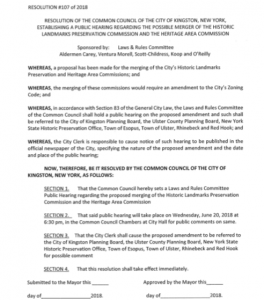 At last evening’s meeting of the Historic Landmarks Preservation Commission (HLPC), the Commission as an involved agency in the State Environmental Quality Review (SEQR) for the proposed Kingstonian Project put forward a motion to amend the agenda to include a discussion of the Kingstonian Project and its “potential significant environmental impacts” pertaining to historic preservation. 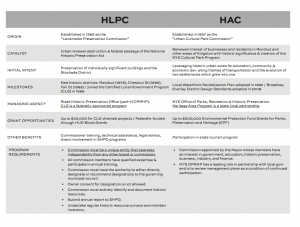 With the clock ticking on a 20-day window for the Planning Board, as lead agency, to make a Positive or Negative Declaration in SEQR (the deadline being March 20th), the HLPC’s March meeting would have effectively been their last opportunity to discuss their concerns as a collective body. 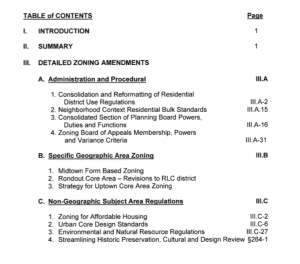 Apparently it was the desire of the entire Commission to have this discussion placed on its March agenda beforehand, but their request was not honored by the Commission’s administrative staff in the Planning Department. 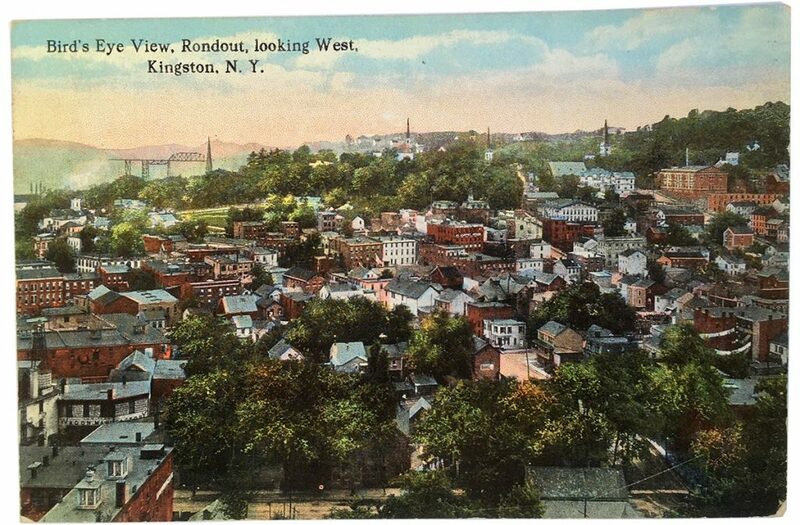 KingstonCitizens.org found it deeply troubling that the City of Kingston’s Planning Director — who is both affiliated with the Planning Board as Lead Agency (meant to be an impartial body responsible for administering the environmental review process) and as staff of the executive branch that wrote the successful Downtown Revitalization Initiative (DRI) application to secure the $10 million dollar grant to be used in part to fund the Kingstonian Project — spent nearly 15 minutes trying to dissuade the Commission from amending their agenda to include a discussion of the project and its potential impacts as it pertained to the historical, archeological and community character of the project. The Commissioners had also requested that the item be placed on the agenda, but Suzanne Cahill, who now is responsible for the HLPC’s administrative duties, would not agree to do so. 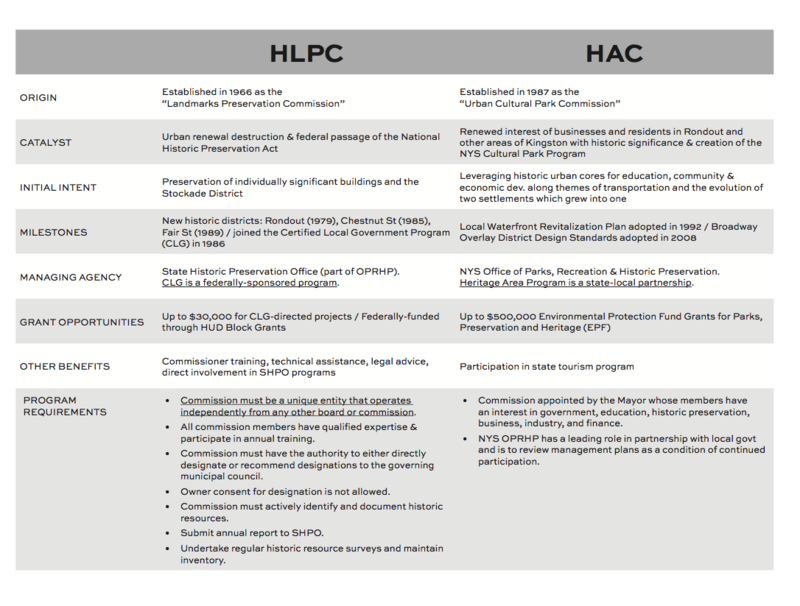 The HLPC is one of 10 involved agencies that will have a discretionary decision to make for the Kingstonian Project. Although anyone can point out potential significant environmental impacts, it is required in the SEQR regulations for the Commission in their capacity to “state their concerns (of the)…potential (environmental) impacts of the overall action”. 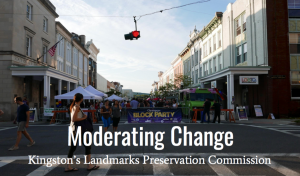 “Dan,” said Kingston Planning Director Suzanne Cahill, as a seemingly last resort for support of her efforts to squash the item from the agenda. “I’m with you,” replied Dan Gartenstein, the City of Kingston’s Assistant Corporation Counsel, who serves at the pleasure of the Mayor. 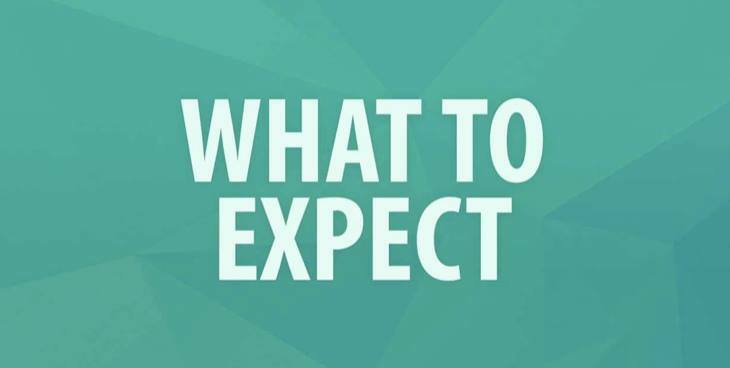 “I don’t think this item should be discussed if it was not on a publicly distributed agenda…based on open meetings law.” However, there is no reference to agendas in the NYS Open Meetings Law. Public notice of the time and place of a meeting scheduled at least one week prior thereto shall be given or electronically transmitted to the news media and shall be conspicuously posted in one or more designated public locations at least seventy-two hours before such meeting. Public notice of the time and place of every other meeting shall be given or electronically transmitted, to the extent practicable, to the news media and shall be conspicuously posted in one or more designated public locations at a reasonable time prior thereto. The public notice provided for by this section shall not be construed to require publication as a legal notice. If video conferencing is used to conduct a meeting, the public notice for the meeting shall inform the public that video conferencing will be used, identify the locations for the meeting, and state that the public has the right to attend the meeting at any of the locations. If a meeting will be streamed live over the internet, the public notice for the meeting shall inform the public of the internet address of the website streaming such meeting. 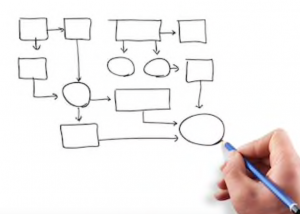 When a public body has the ability to do so, notice of the time and place of a meeting given in accordance with subdivision one or two of this section shall also be conspicuously posted on the public body’s internet website. 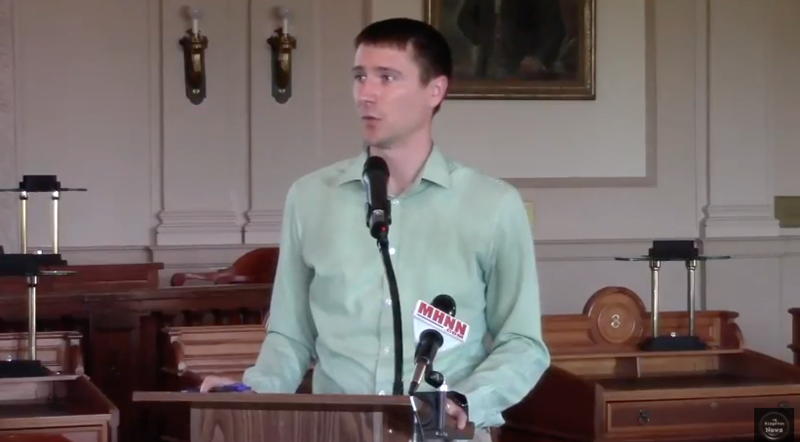 KingstonCitizens.org is all for good policy, but the City of Kingston’s elected and appointed officials have a responsibility to not mislead the public or its citizen volunteer commissioners at any time. In the case of the Kingstonian Project, the meeting filmed last night raises the question of whether it is even possible for any municipal body to be lead agency and remain impartial in SEQR given what it stands to gain in a public/private partnership. Maybe, but the perceived errors in the actions of city staff last night ought to be enough to inspire the Planning Board to follow the rules to the letter to insure a transparent process. 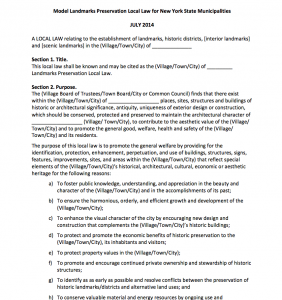 The HLPC discusses the potential significant environmental impacts as it pertains to historic preservation for the proposed Kingstonian Project. 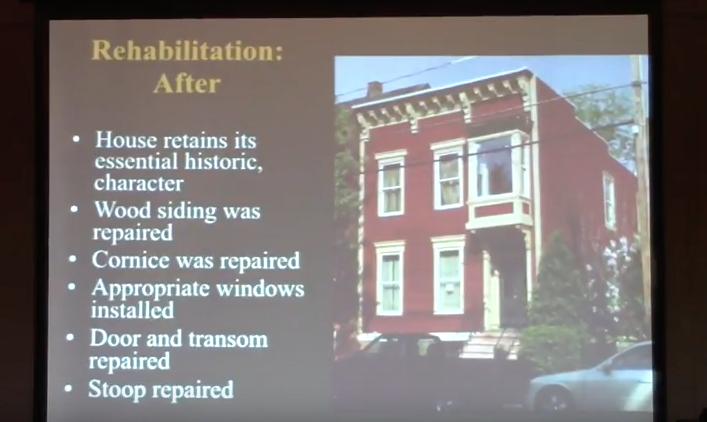 This project involves the demolition of an existing architectural resource in the Stockade Historic District and may seek to replicate this resource, which has the potential to create a false historical record. New construction may impact the visual context of the district, including the architectural components of the district’s buildings in this area (e.g. height, scale, proportion, massing, fenestration, ground-floor configuration, style), streetscapes, skyline, landforms, and openness to the sky. 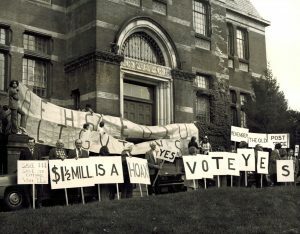 The project may also impact the visual context of the Senate House, a significant state landmark. 2) Following the Mayor’s budget presentation, the Common Council’s Laws & Rules Committee convened for its monthly meeting. 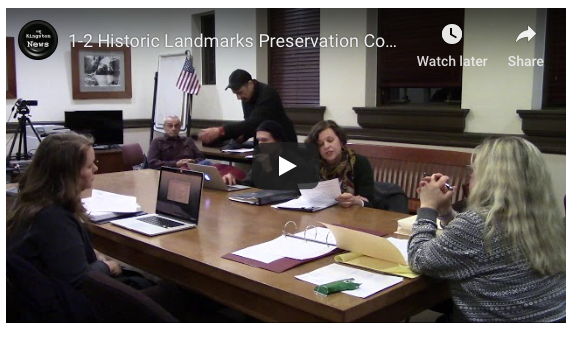 Chair Bill Carey announced that the committee is no longer considering the Corporation Counsel’s draft legislation to merge the Heritage Area and Historic Landmarks Preservation Commissions (HLPC). 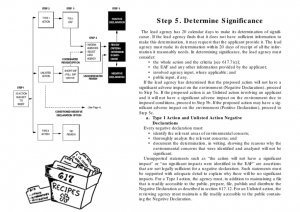 Instead, other solutions are being studied to improve the efficiency of the two commissions, such as eliminating overlapping application reviews.